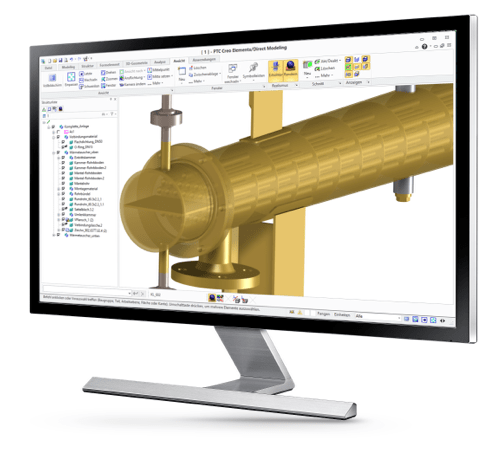 With SolidPipe, you can expand your PTC Creo Elements/Direct Modeling into a powerful 3D design system for tank and pipeline construction. 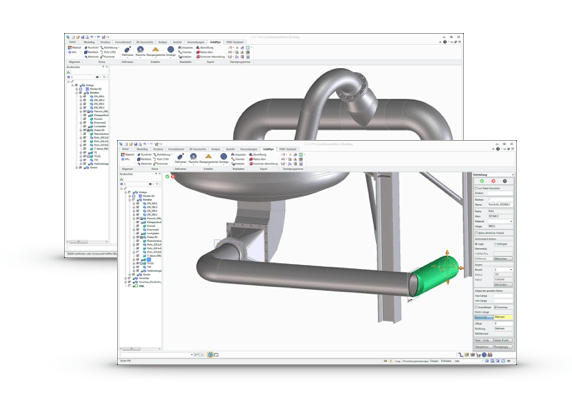 Generate serpentine piping with branches and adapter pieces, tanks with installed and add-on parts, fittings and much more with a few mouse clicks! The application options range from ventilation installation to classical pipeline and tank construction all the way to special applications in mechanical engineering. 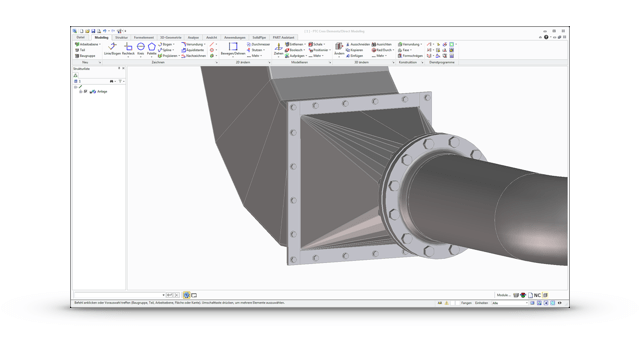 SolidPipe is an add-on for the 3D CAD system Creo Elements/Direct Modeling of PTC. SolidPipe offers a large number of piping elements including round pipes, rectangular tubing, bends, T pieces, reducers and many more. 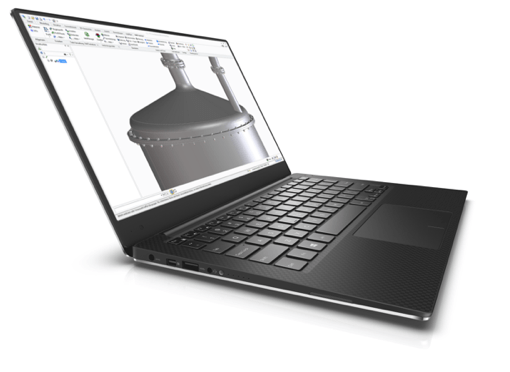 The delivery scope includes catalogs with data for different standards (DIN, EN, ASME, ...). Libraries can be expanded with additional standards, if required. For longer pipe systems there is a function for automatic piping laying. 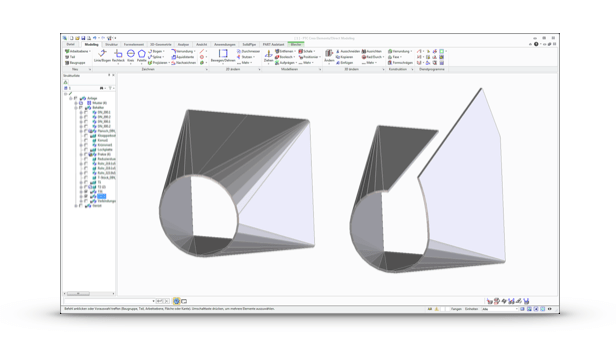 After determining the route of the pipe axis, the appropriate duct with all piping elements and bends is created automatically. You can of course also make subsequent changes, e.g. move, delete or add bends. An additional function automatically determines the shortest connection between 2 pipe ends that are placed randomly to each other in the room, if requested. The supplied data catalogs include flange data according to DIN, EN and ASME. 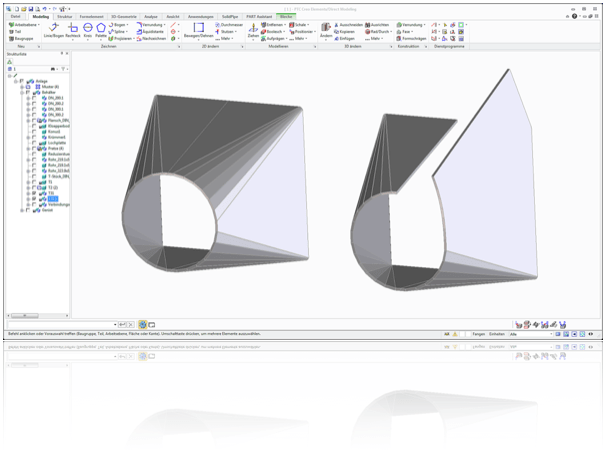 To expand them with individual flanges or access to external flange libraries (e.g. supplier catalogs), we recommend using the optional product PART Assistant. 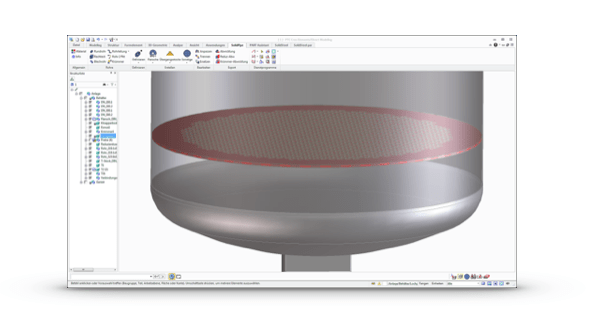 With the help of PART Assistant, you can also save individual flange connections with flanges, seals and screws as modules for reuse. 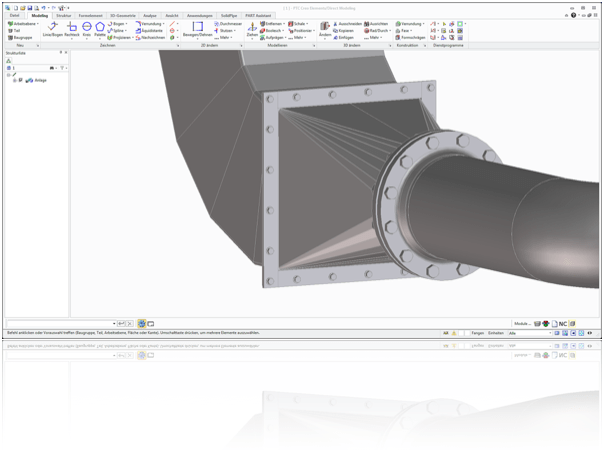 SolidPipe also offers a variety of components and functions for tank construction. The actual tank is generated as a pipe section or as (rolled) sheet metal section with welding seams. Various bottom shapes are available for the tank ends, e.g. endcap, deep dished torispherical head, hemispherical head or semi ellipsoidal head. 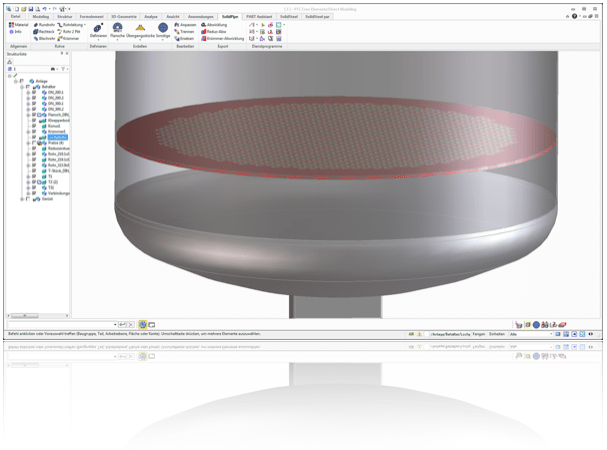 Alternately, cones with or without brim can also be installed. The volume of the respective components is indicated, if requested. For some installation or add-on pieces there are also ready-made functions available, e.g. for aperture plates or connectors. Other components such as e.g. manholes, sight glasses or fittings can be loaded from manufacturer catalogs and managed with the help of the optional PART Assistant. Regardless of whether it is a connector on an endcap or an adapter piece from round to angular. There is no tank and piping construction without adapter pieces, sheet metal parts and unfoldings! There is also the possibility of determining layout lengths of round pipes, round pipe segments and segment elbows. ... a perfect constellation for almost all tasks in plant engineering!